Before I moved to Toronto, I used to come to the city to visit friends and I'd almost always take the opportunity to stock up on all things that were expensive and imported back home. We had a wonderful local Asian grocery at one point, but it never had quite the selection that I could find in Toronto. I've since had the opportunity to visit many other stores that stock Japanese ingredients, to the point where I can cook most of my favourites. Follow this post for the best ingredients to be had in the city! J-Town, should you be close enough to access it, should always be your first stop for authenticity. This shopping complex encompasses a supermarket, restaurant, bakery, fishmonger, cafe, izakaya, kitchenware store, cosmetics store, beauty salon...it is, essentially, a tiny Japanese mall. The prices are consistent with what you might find at Sanko, though slightly higher than the Korean grocery stores that stock Japanese products. Still, for the experience - especially for expats fighting homesickness - this place is the Promised Land. It's also the only store I know of in the city that sells melon pan, fresh or otherwise. Access it by the 53 Steeles East bus at Finch Station - the stop you want is "3381 Steeles Avenue East," immediately after Woodbine Avenue. Sanko is the more well-known of the two purely-Japanese shops in town, open since 1968 and run by a local family. For downtowners, it is a much more sensible choice than J-Town, especially as it has a fantastic stock of both drygoods and fresh ingredients, including burdock root and shiso leaves. Rice balls and takeout obentou available too. Sanko also carries an extensive stock of Japanese dishware; priced for imports but of excellent quality. Access it via the 511 Bathurst or 501 Queen streetcars. 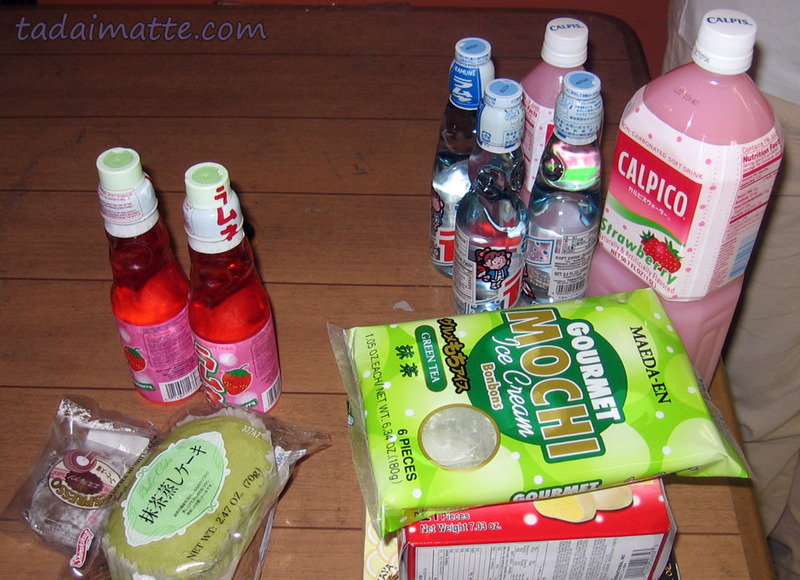 T & T is Canada's largest Asian supermarket chain - they carry a mix of things Japanese, Chinese, Korean and others. There are six locations in the GTA alone (though only one in the downtown area) and their selection of fresh ingredients is pretty much unrivalled. Craving nabe? This is your place. How about 2L bottles of Kirin milk tea? Right here. Since they are a supermarket rather than a mom and pop store, you're also much more likely to find better prices and sales at T&T, as long as they carry what you seek. The Cherry Street and Promenade Circle locations are the closest subway-accessed stores. For Cherry, take the 72 bus from Front Street in front of Union Station and get off at Commissioners Street. For Promenade, take the 160 bus from Wilson Station (extra fare required past Steeles - this is walkable in 20 minutes if you prefer) or the 77/88 from the Finch Go Bus Terminal. While I love T&T, Galleria is my go-to store for its location and prices. 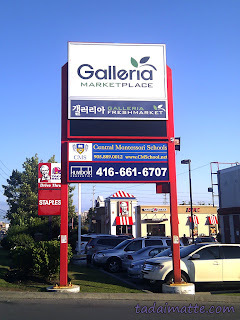 Their Yonge location is a 5-minute bus ride from Finch Station (no extra fare required), and they are open 24 hours. They're also the only store in town that carries House brand tomato hayashi rice roux! This is a Korean supermarket, so the selection is not perfect, but they carry a great range of Japanese snacks, condiments and fresh ingredients. 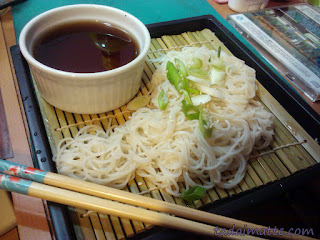 The sushi, while affordable, is bland but the small food court the Galleria has boasts some good homestyle Japanese fare. Access the Yonge location via the 53 Steeles East or 60 Steeles West buses from Finch Station. Access the York Mills location via the 95 York Mills or 122 Graydon Hall buses from York Mills Station. This is a great Korean supermarket that has convenient locations downtown and uptown, great prices and a small selection of Japanese goods. The bottled drinks are generally more expensive elsewhere, as are the boxed curry rouxes, and for fresh veggies, with T&T so far away PAT's Central market is the best you could hope for. They also sell top-quality, inexpensive Korean-made tofu that is far better than anything I have purchased at a Western supermarket in this city. Perfect for hiyayakko! Access the Bloor and Spring Garden locations via Christie and Sheppard stations, respectively. Both are within 5 minutes' walk of the subway. This Chinese supermarket carries a vast amount of teas and noodles, as well as your standard Japanese pantry items at good prices. The location is perfect for anyone south of Bloor. They have a great seafood selection, but the shining star is the produce - I haven't seen anywhere else where I can get two kabocha for three dollars! Keep an eye out for their good, and frequent, sales! Access is via St. Patrick Station. Btrust is probably not going to be the first choice of Asian supermarket anyone travelling via TTC - and if you live in the Keele/Wilson vicinity, you almost certainly already know about it. Still, this is an acceptable option for those living on the northwestern side of the Yonge-University-Spadina Line, with its good selection of vegetables, tofu and meat. You'll find that their selection of Japanese staples is lacking, but if you're not choosy about brands, you may find what you need here - and some affordable snacks as well! Keep an eye out in the bakery section for their packaged castella cakes, just like the ones you might pick up at Lawson back in Japan. Access the Toronto location via the 96 Wilson bus from York Mills or Wilson Station. Hmart, a Korean convenience/grocery store, has a few locations uptown worth checking out for their selection of Japanese snack foods and sauces. You can pick up mirin for very cheap here, on occasion, and they often carry a bigger selection of tonkatsu sauces than the Japanese grocery stores! The Finch location is about two minutes' south of Finch Station and the Church Avenue location is another ten minutes' walk south of that. I'm never sure how I feel about Mits, but it belongs here at least on the basis of being Japanese-run. This corner store has a small selection of mostly-overpriced items, but they also stock reasonably-priced and up-to-date rental DVDs, and offer Kuroneko services. In a pinch I will pop in and buy a lemon tea or check what's on their clearance table, but I don't do a lot of shopping here. Walk north on Yonge from Wellesley Station. It's not easy to spot right away but it's visible from Yonge. I haven't been to either branch of this shop personally, but I'm told it sells Japanese food almost exclusively and the Etobicoke location at least is very convenient and run by a very nice Japanese couple. The Scarborough location can be reached via the 85 Sheppard East bus from Don Mills Station, while the 123 Shorncliffe bus from Kipling Station or the 15 Evans bus from Royal York Station will take you to the Etobicoke branch. The PMall, as it's affectionately known to Torontonians, is a Chinese mall just north of the city limits with a huge number of tiny stores packed into it. While the grocery shopping isn't great, there are not one but two large Japanese candy stores located here, with plenty of other options for Japanese snacks elsewhere in the shopping centre. Yum! Market Village, large but always overshadowed by its oversized neighbour the Pacific Mall, has a few Japanese candy options, though price and selection are almost identical selection to the PMall. Should you require cooking implements, however, Market Village does feature an enormous branch of Japanese home goods store One's that is worth checking out. *Market Village is slated to close in 2014. That's it for now - these are all the big players. If you know of one that's slipped by my notice, please comment and I'll add it to the list!